With WWE's Cruiserweight Classic already drawing almost universally positive reviews, and others like PWG's Battle of Los Angeles still on the horizon, this summer is shaping up to be the summer of tournaments. 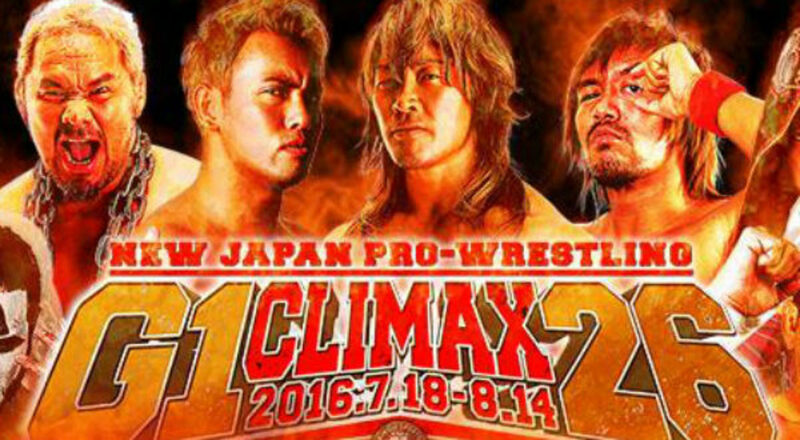 But none of them are as long, or have as many opportunities to provide great matches, as New Japan Pro Wresting's annual G1 Climax. The tournament began last Monday and will stretch all the way until August 14th when the winner will be decided. ROH champion Jay Lethal will also defend his championship against Satoshi Kojima on the tournament's final show at Sumo Hall. Kojima was previously scheduled to be in the tournament, but gave up his spot to partner Hiroyoshi Tenzan. There are 19 shows in just under a month, with five tournament matches and four undercard non-tournament matches per show. If you have any questions about the G1, they're likely covered in our beginner's guide to it.